A wooden boat of Gullete type made in Turkey, it has two main propulsion engines and 2 electric generators fully renovated in Syros in 2012. It has 2 indoor lounges with bar and comfortable outdoor decks for 150 passengers and there are 6 cabins. 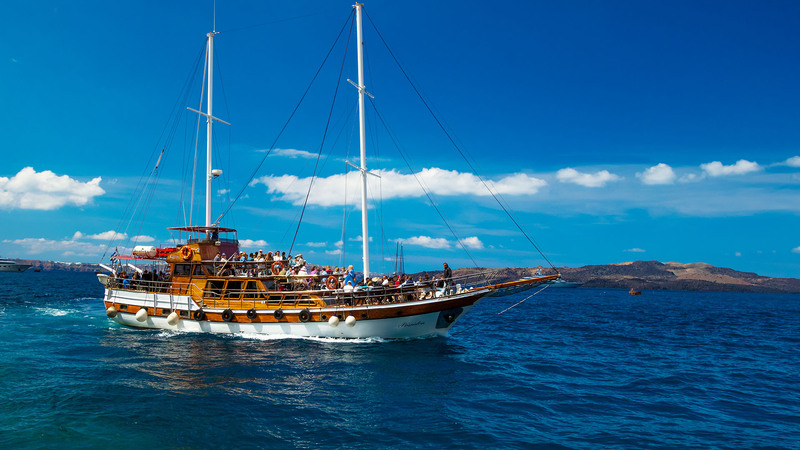 Additional it is supervised by the Hellenic Register and meets all the latest safety regulations it makes daily organized excursions and sails to the volcanic islands but it is also available for chartering.